Kristin is AMAZING! She is magical with children. My 3 1/2 and 2 year old had so much fun with her! 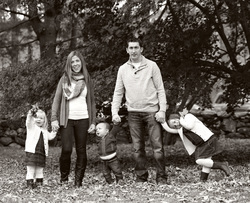 She captured them at their best moments (nearly impossible with 2 toddlers!). Her pictures are beautiful!! They are so beyond what I could have imagined. Kristin is the sweetest and her talent and care for her craft show in every picture she takes. Look no further for a photographer - Kristin is the BEST! Kristin is terrific!! So talented! She managed to capture truly incredible shots of my two toddlers and of the family while both little ones were cranky, hungry and maybe a little sick. I really don't know how she did it. We will be using her again for sure! ​We love, love love Kristin!!! She is so enthusiastic, and ran around with the kids to make it fun for them, and so they were happy to smile for her! She took the best family photo of us, and believe me we have tried so many times before this to get it right! She had great spots scoped out for beautiful pictures before we had even arrived. Thank you Kristin!! We'll be back for more photos! I can't write enough good things about Kristin and her work. I met her a few months ago and since then have used her service a number of times - and so did my friends and family. She is an amazing photographer who knows exactly when and how the capture the most treasured moments dear to our hearts. I highly recommend her! Kristin was the best! She was so easy to work with, professional & courteous - we left each other giving hugs because she is so friendly! Kristin was prompt to respond to emails and so kind to our son. The packaging of our flash drive containing our photos was far more than I expected! The branded wood flash drive wrapped in twine made such an impression! 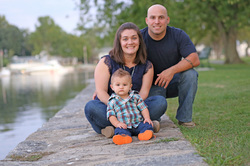 I am looking forward to future family photo shoots with Kristin!